If you’ve got a new iPhone or iP ad, or if you’ve recently upgrade your operating system to iOS9, it’s worth reading the article below. Got iOS 9 on your iPhone or iPad? You might want to turn off Wi-Fi assist to avoid unexpected mobile broadband data usage or overage charges. If you have iOS 9, there?s a new feature called Wi-Fi Assist built into the system. What it does is to let your phone use your 3G or 4G connection when your Wi-Fi signal is weak or too slow to give you a good enough experience. Normally, in these cases, you just find that your Wi-Fi connection is playing up, or if you?re close enough to be connected but not close enough to get a good signal, things don?t work and you get page not found errors in your browser. Of course, if you move far away enough you?ll be disconnected from your Wi-Fi hotspot and you?ll be back on your 3G or 4G connection anyway. 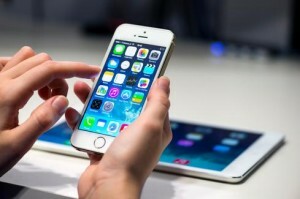 Even so, with the introduction of the new features, a new problem arises, which is that Apple has turned it on by default after never having offered it before, and it could chew through your 3G or 4G data allocation without you even knowing it. Some people online have reported having their mobile data allocations chewed through far faster than normal, and that can naturally come as a surprise – especially if you didn?t know the feature existed and you thought you were safely using Wi-Fi connectivity. If we lived in a world with unlimited mobile data, it wouldn?t matter one bit, but sadly, most people?s mobile data allocations are but a fraction of the data they get with their ADSL, cable or NBN connections. So, how do you turn Wi-Fi Assist off if you don?t want it on? Details below. 1. Tap the settings icon on your iPhone – it looks like a grey set of gears. 2. You should see the standard settings screen, headlined by the Airplane Mode option. Directly beneath that is Wi-Fi, but oddly, that’s not where you’ll find Wi-Fi Assist. Directly under Wi-Fi is the Bluetooth and directly under that is the one we want, called Mobile. If you?re in the US or visiting from there US, this section is likely called ‘Cellular’ instead of Mobile. 3. In this ?Mobile? section you?ll see that you can turn mobile data on or off, you can enable 4G or turn it off and set data roaming. You?ll also see that you can activate or deactivate the ability for all your apps to use mobile data. 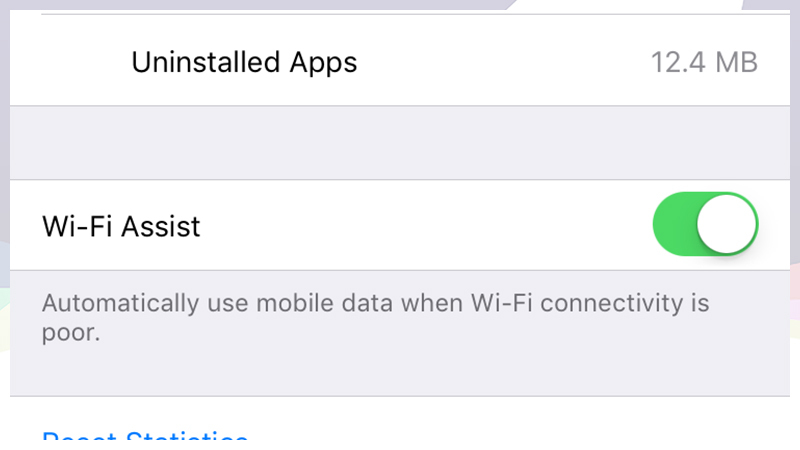 If you turn off an app?s ability to use mobile data, then it would only work when you are connected to a Wi-Fi network. Anyway, if you scroll ALL the way down to the bottom of the page, which for some people could be quite a few swipes upward if they have a lot of apps, you?ll see an option called ?Wi-Fi assist?. Quite why it is listed so low I don?t know, but there it is. Anyway if you turn it off, when you?re on Wi-Fi, you?ll only be able to get data over a Wi-Fi connection – as was always the case previously. And that?s how you do it!